Well, I'm thankful we live in the Midwest now and have more choices when it comes to flea markets and thrift shops. I am always, always on the look out for portable, mid-century typewriters but my ultimate find would probably be a yellow patchwork quilt that had been hand stitched and free of any holes or stains. Or any Eames furniture. Any at all. Thanks for the chance at a give away. A Featherweight sewing machine. I would be filled with joy and wonder if I found one. But I wouldn't deserve it because I'm not even sure if I spelled it correctly! 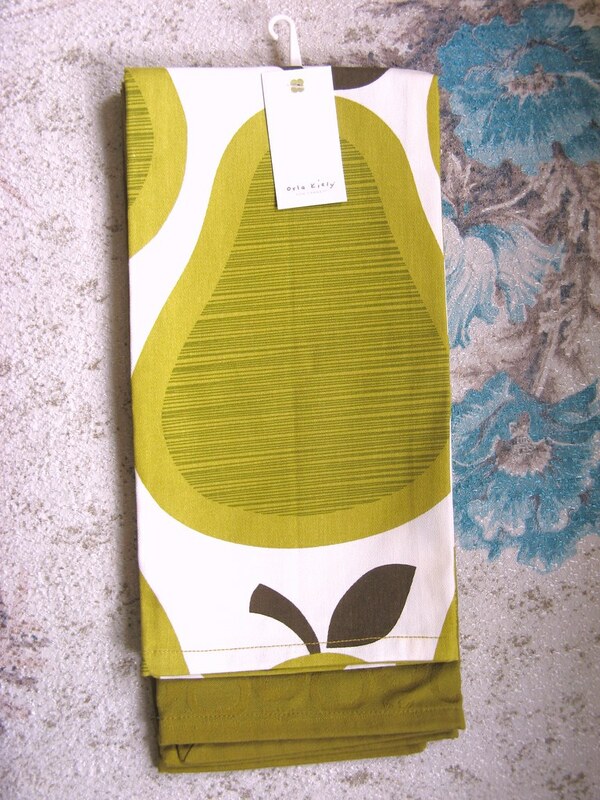 Lots of inexpensive vintage fabric. A lovely vintage couch. i'd like to just happen upon a 'penguin donkey' so that ben would have somewhere to put all his lovely old orange penguins. i realise this is never gonna happen but it's nice to dream. I think it would be some low slung armchair, light coloured wood, thinnish cushions that I could cover in some wild fabric! 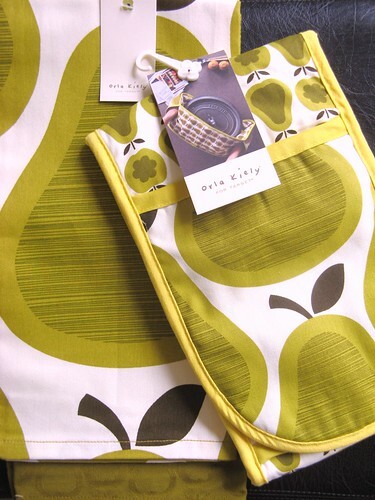 I love, love, love Orla Kiely..I used to have loads of her bags...but sadly when times were hard I had to sell them on Ebay...can you get those items in the UK? I have a huge list of thrifting holy grails but my heart would skip a beat if I found a 1950's wire desk filing tray with red trim.Just like the one I have in my inspiration scrap book! The thriftfind of the century for me would be a Hardoy butterfly chair with a worn leather cover. Dream of dreams. Thrift find of the century...a vintage clear glass cake stand, three tiers, with a central chrome pole and handle. And , here in the UK, some Orla Kielly stuff! Oh it would have to be a mid century scandinavian sideboard and it must have sliding doors to allow it to work in the space available! Still looking and still dreaming! For me, it would be a gigantic old console-type television, already turned into a fish tank by someone who knew what they were doing. By the way, the site update looks fab! Yarn. Pure wool crepe yarn, enough for a sweater. I have so many dream items that I'd love to find even though I've already found many in the past. It's so easy to come up with new ones constantly. I've been searching for years for a vintage card rack/holder. I'm not even sure what they're called but I've seen them in magazines when they've featured other's homes, so I know they're out there! Maybe it's called a vintage card display rack...? No matter, I want one in the worst way! I like your new header. The changes look nice! What a lovely giveaway! I have been very jealous of the Orla Target range as we don't have it here! My dream thrifty find would be a a boxed Homemaker teaset. Even now, I enter evert charity shop and car boot sale in anticipation! You just never know, which is the joy of charity shops. This range was a Woolies line in the 1950s, so when all our lovely Woolworths shops closed down I was looking through piles of tat and skulking around discarded rubbish in the hope that a box of Homemaker had been languishing in a Woolworth's, maybe propping up a shelf or being used as a coffee table in the staff room... These are the dreams that feed me! I have bought some lovely vintage items in our wonderful British charity shops lately. However I'm always on the look out for some practical 'utility' furniture! My grandparents had lots of items but I wasn't able to take any when they passed away. I'd love a few pieces in my home to remind me of them. Wow -- I'd love to find a mint condition copy of the 1963 Whitman Stock Market Game. I loved this when I was a kid. I'd also love to find a stash of old flour sacks, tons of vintage jewelry and lots of old, old postcards. Now that would be some find. Wow, I've just come across your blog and it's fab. 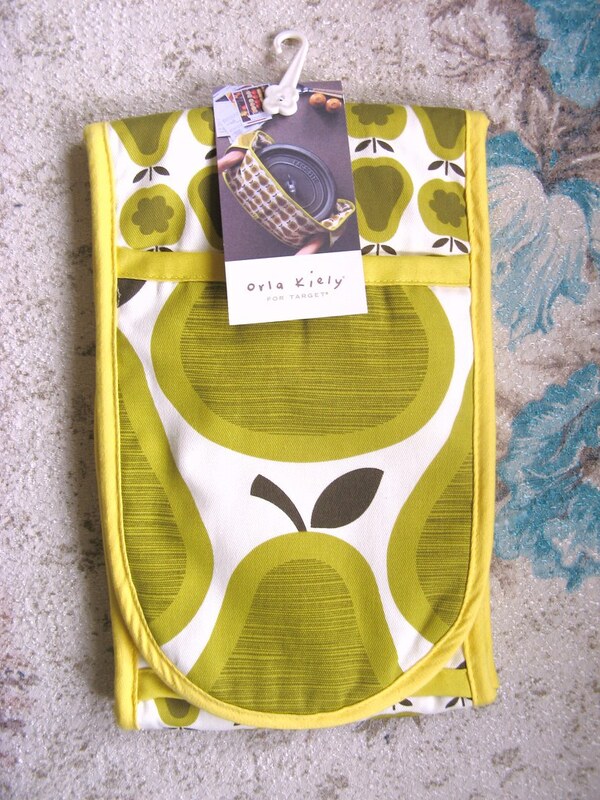 I love the new Orla Kielly range especially the colour combinations. My perfect find would be an old suitcase, musty with age but in perfect condition with buckles. Inside would be a collection of vintage fabric just waiting to be made into something new. I'd love to find an old kitchen hutch with weathered paint. I love the country/shabby chic look. Thanks for hosting. I once found a beautiful London Fog raincoat at a consignment shop. It was in perfect condition and I got it for about $40. What a fun contest! I think Just the other day, when I found a Holy Grail; the most lovely antique beaded bag with metal frame, in nearly perfect condition. I could never afford to collect these types of bags, as they can be very dear. Finding this bag, was like the dream coming true! My dream item is an antique mirror for our bedroom.